Over the last 50 years, JPL spacecraft have visited every planet in our solar system and roved for more than 14 years on the surface of Mars. In addition, space borne telescopes have detected planets around neighboring systems, studied the composition and dynamic of galaxies across the Universe, and monitored changes in our planet’s surface and atmosphere. This presentation will discuss the challenges of robotic space and Earth exploration, highlights of Curiosity’s recent landing on Mars, and present some of the engineering and technological challenges for future missions of exploration and discovery. 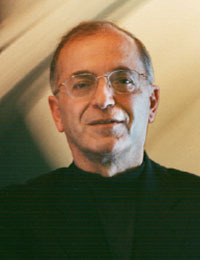 He is the Chair of the St. Exupery Innovation Council in Toulouse France, Member of the United Arab Emirates Space Agency International Advisory Council, a member of the Commission on DOE National Laboratories, a member of the Visiting Committee for the Department of Aeronautics and Astronautics at MIT.